As a homeowner, you want to protect your house from damage that can occur from time to time. Water intrusion is one of the main threats to properties and can result in thousands of dollars of damage, from flooding to mold growth. If you want to prevent leaks from developing at home, there are a few main steps to take. When temperatures outside drop, pipes often freeze and burst due to the water expansion, which can lead to significant water damage. Make it a point to insulate the pipes that are exposed so that the water inside them isn’t at risk of freezing. All external openings also need to be sealed. If you plan to leave the home for an extended amount of time, set the thermostat above 55 degrees and open up cabinets so that the pipes don’t become too cold while you’re away. Toilets are one of the main sources of leaks in homes and may have water that leaks at the supply line. All toilets need to be checked regularly for leaks. An easy DIY way to diagnose whether your toilet tank has a leak is to put a few drops of food coloring in the tank of the toilet. Walk away for about 15 minutes and then come back to check out the bowl. If you see that the water in the bowl has changed colors, this means there is a leak in the tank. Although chemical drain cleaners are common and affordable, they can be dangerous to use and can lead to damage to your plumbing system over time. Drain cleaning chemicals often cause corrosion and should be avoided. When clogs occur, use a mixture or baking soda and vinegar to loosen the debris and then clean it out with a drain snake. It’s also important to check the pH level of the water in the pipes to prevent leaks from developing at home. The pH level should be 6.5 to 8.5. Old hoses on washing machines may leak once they begin to deteriorate and suffer from wear. Make it a point to replace the hoses on the appliance every five years to prevent leaks from developing at home. Shut the water off each time the hoses are replaced. You can prevent leaks from developing at home by replacing the washer end of the spindle on old faucets in the home. The rubber washer is affordable to purchase and is easy to install to protect the parts. By knowing the steps to take to protect your home from plumbing issues, you can reduce the risk of damage and save money in the process. 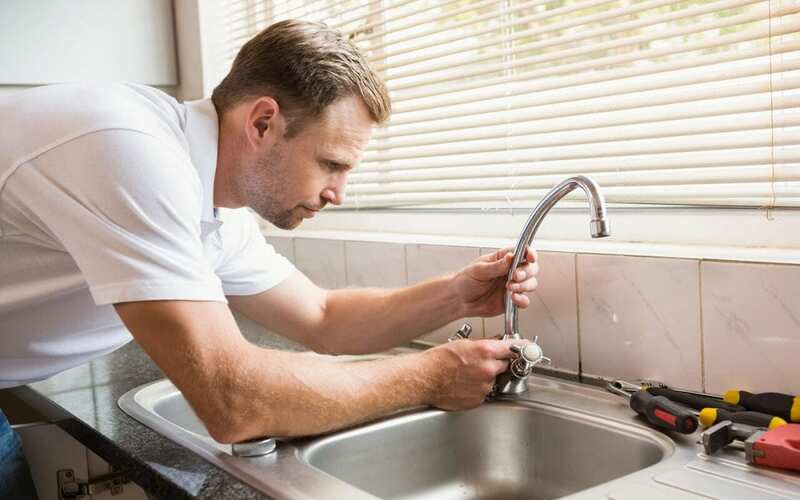 Staying proactive to protect your home offers peace of mind and also maintains the quality of your property when you prevent leaks from developing at home. Inspect It Neil Home Inspections provides New Jersey with home inspection services. Contact us to book an appointment.